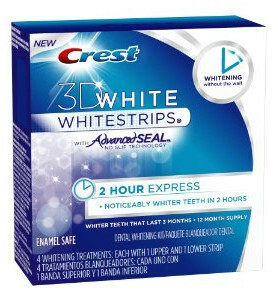 *HOT* Crest 3D 2 Hr Whitestrips only $5 at Amazon (After MIR)!!! The kit is on sale for $29.92. When you click on the $10.00 off coupon, that will bring your total to only $19.92. Shipping is FREE with Prime. Then go here to print the rebate form to get $15 back! After the coupon & the mail-in rebate, the total is only $4.92!